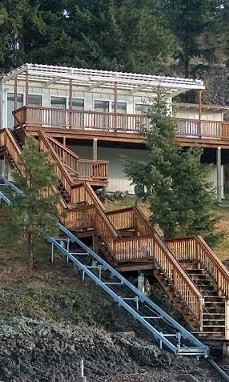 Your hillside property offers breathtaking scenic overviews which come with unique access problems. Steep, wooded, rocky or otherwise unsafe terrain make it a challenge to get back and forth to the base of the hill or waterfront. 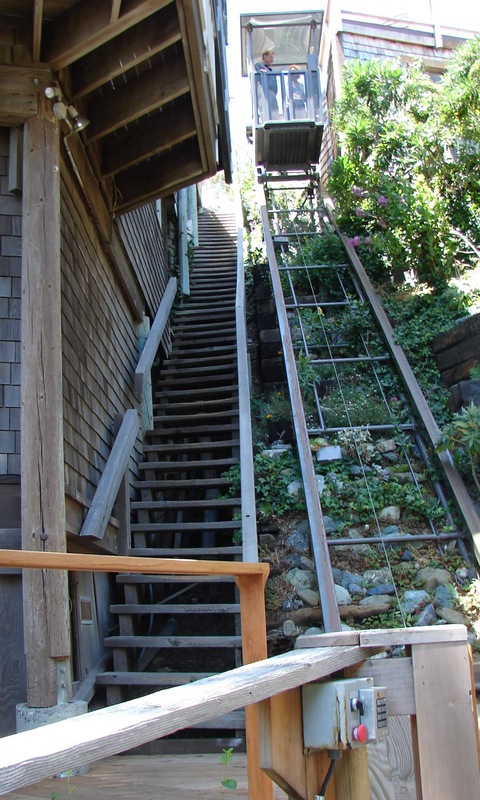 Steps are one option, but you still have to climb them, toting your cargo up and down as you go. Sometimes physical limitations make that climb impossible. 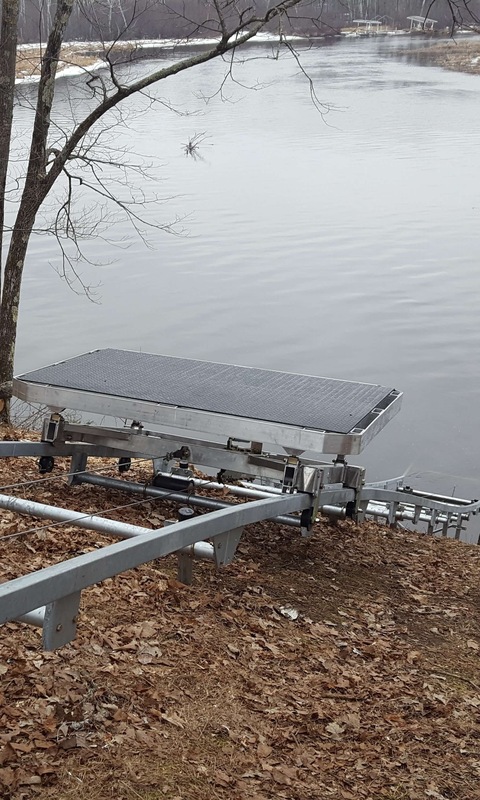 Families with young children or pets, the elderly, people with handicaps, or folks who just don’t want to spend their time running stairs all day love Marine Innovation’s lake elevators. 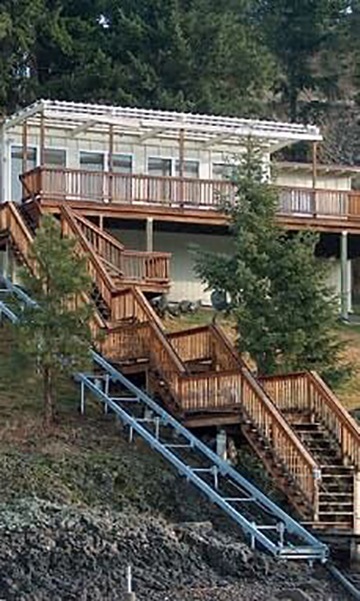 Referred to as hillside elevators, lake trams or funiculars, our state-of-the-art inclined elevator systems open up all sorts of new and exciting possibilities for your hillside/waterfront property, whether commercial or residential. They can be installed almost anywhere, are easy to operate and deliver a safe, smooth ride every time. We have yet to meet a hill we cannot conquer! 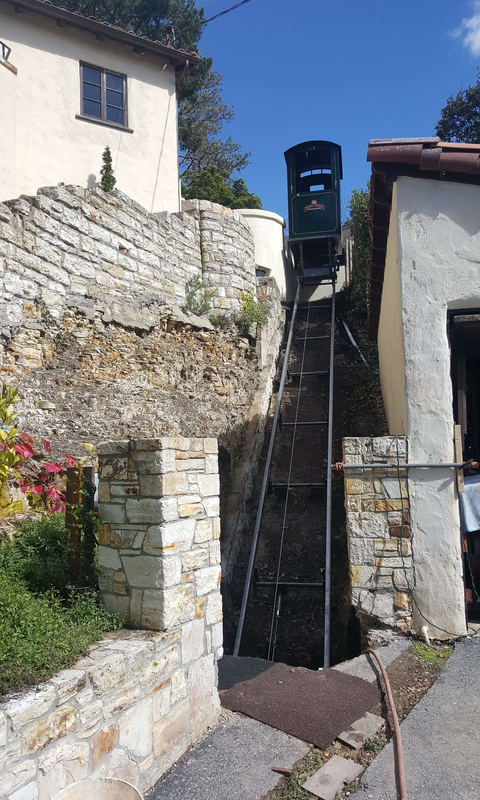 We have over three decades of experience installing and maintaining the best incline elevators in the industry. We use them to transport our own families almost daily, so you can bet we build them with safety in mind. Since we understand just how important your cargo is, our products come with a 15-year warranty on structural components, three years for non-structural components (gearbox, motor, brakes), one year for drive and brake cable and one year for electrical parts and components. 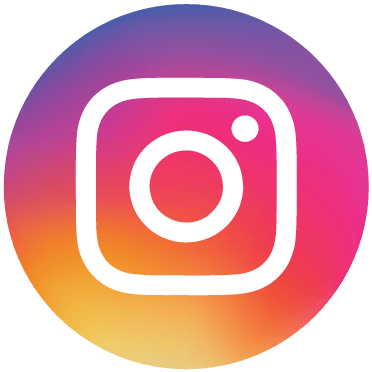 We are the only engineered incline elevator company in the industry, personally handling your system from design to installation and beyond. We believe in what we build and we take pride in the work we do. 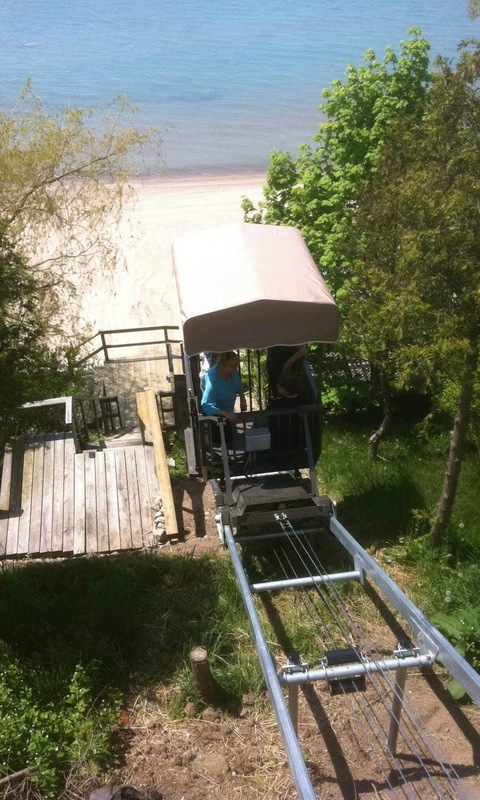 We’ve been installing lakeside trams for satisfied customers for 30 years. We engineer and manufacture our own products, meaning they must meet our superior standards or they will not be installed. 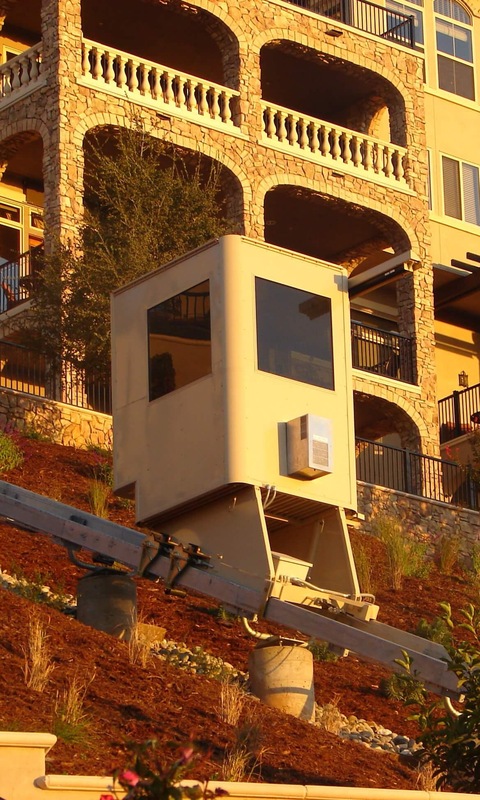 Check out our residential tram/elevator products to ensure access for everyone to your entire property. Commercial hillside projects come with unique variables. High traffic concerns and safety regulations are non-issues for the professionals at Marine Innovations. 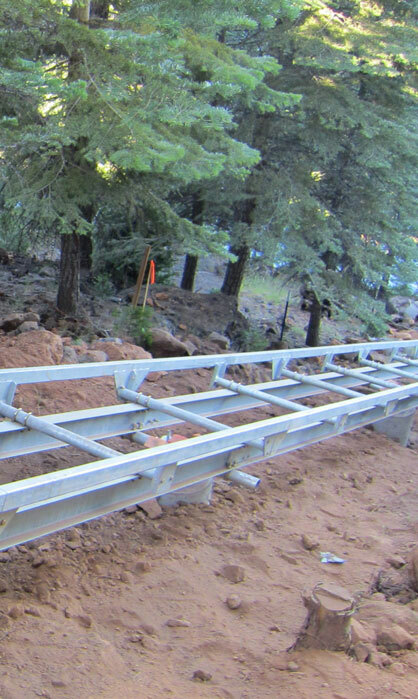 Steep-incline and hillside transport is our specialty. 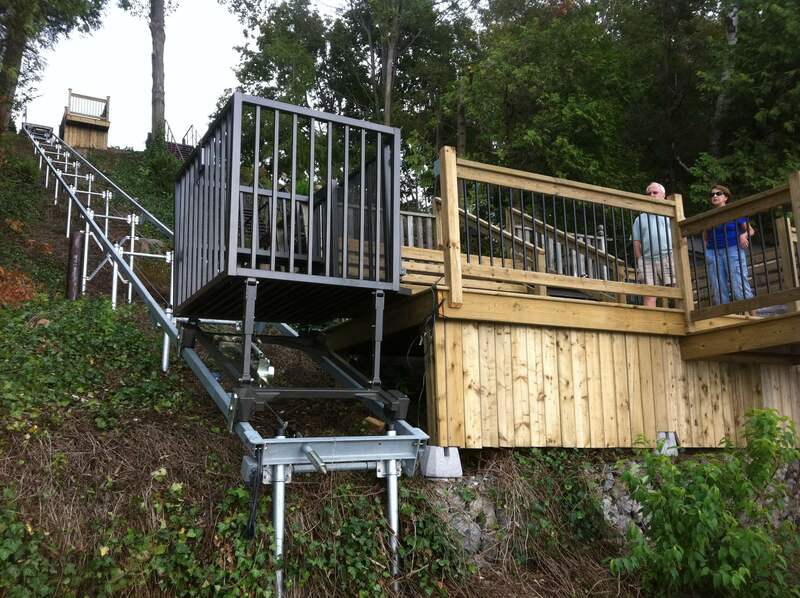 Whatever your project, our team of in-house developers will help you design a lift to safely deliver whatever you have to move from point A to point B.
We’ve developed a pain-free process for designing and installing your outdoor elevator project. Contact one of our trusted dealers today and finally have access to your entire property! View some of the property challenges Marine Innovations is proud to have solved! 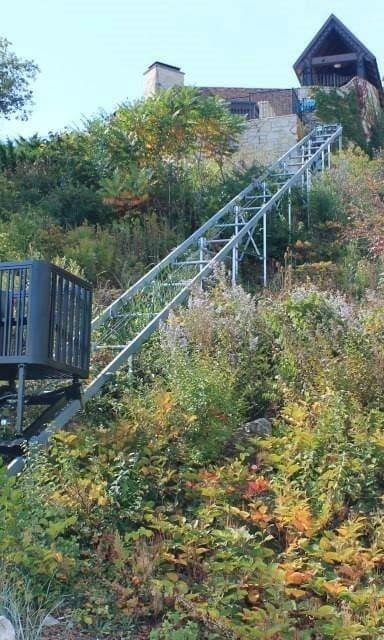 Request information about our custom hillside lifts, get a free quote or find an authorized dealer near you! Don’t waste another minute missing out on the beauty of your entire property. Contact Marine Innovations today for more information about our custom hillside trams, to request a free quote or find an authorized dealer near you!